Work/Life balance is very important to us in the office. So you will typically see people running around in workout garb near the end of each day. Yoga is really hot right now, many of us do bikram, some do Yoga on the Roof and some of us do it around the office. 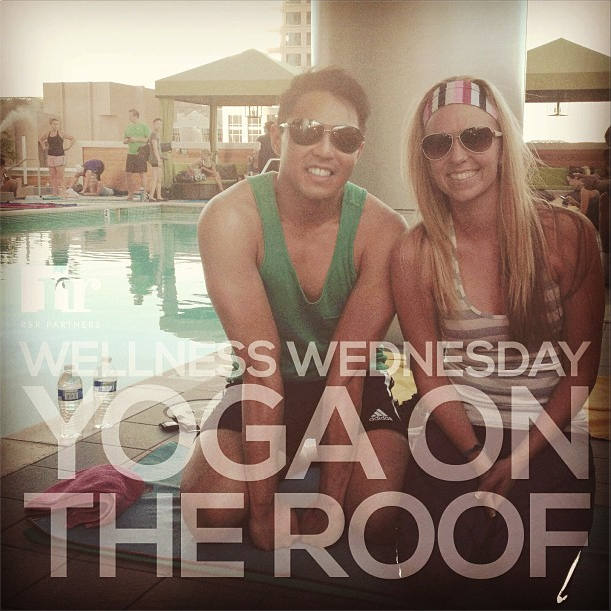 Check out Gerald and Linda after a session on the roof of Hotel Palomar. What health trends are happening in your office right now?